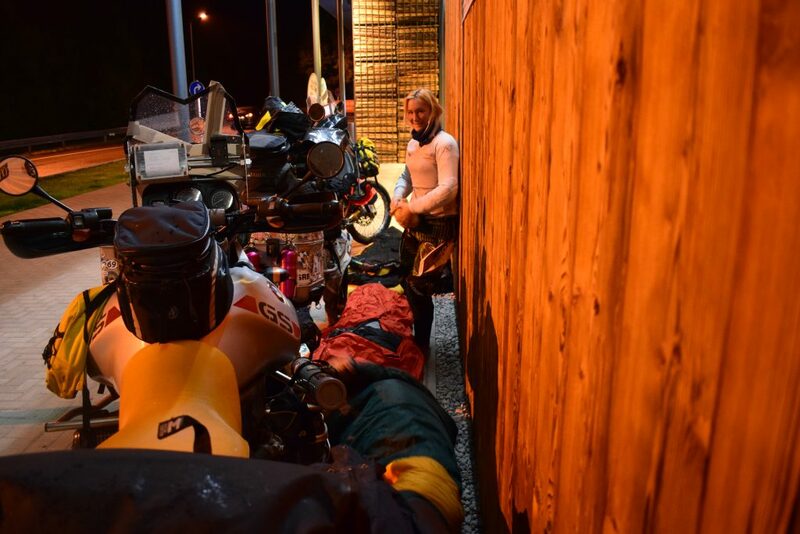 With only twenty one days to spend on our test trip, we needed to cover some 1300 km of highway during the first two riding days. Boring as hell, but if you have limited time, it’s your only option to get somewhere fast and easy. We’re traveling with three this time, and no, I’m not pregnant. Our friend Louis is joining us for our –hopefully- last short trip in Europe before we take on the big RTW. Our goal is to reach Greece somewhere in the second week of the vacation and spend heaps of time in Albania on their amazing offroad tracks. Initially we wanted to set foot in Istanbul, Turkey but if we want to enjoy the beautiful Balkan, we need to set realistic goals. So Greece it is. 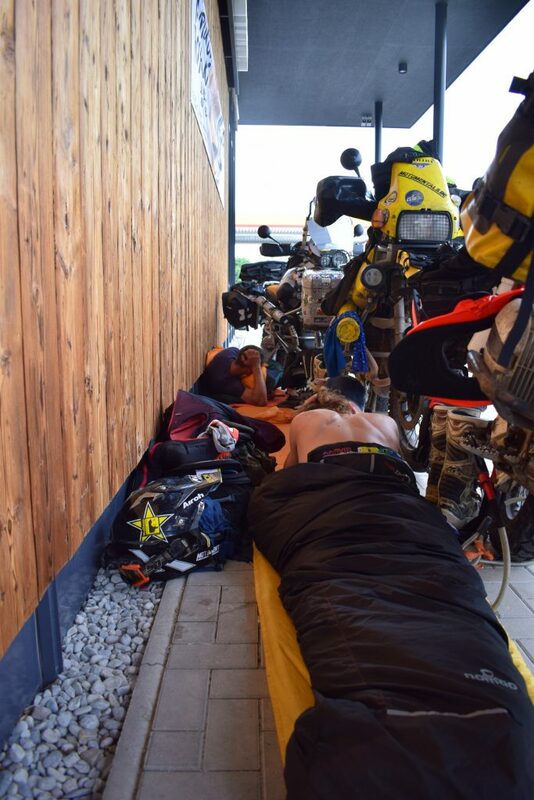 We manage to ride 970 km on the first day when around 20.00 u the heavens open up and give us a free shower. Before getting soaked to the bone we sought some shelter at a gas station and after a meal and a pint we decided that this was going to be it for the first day. 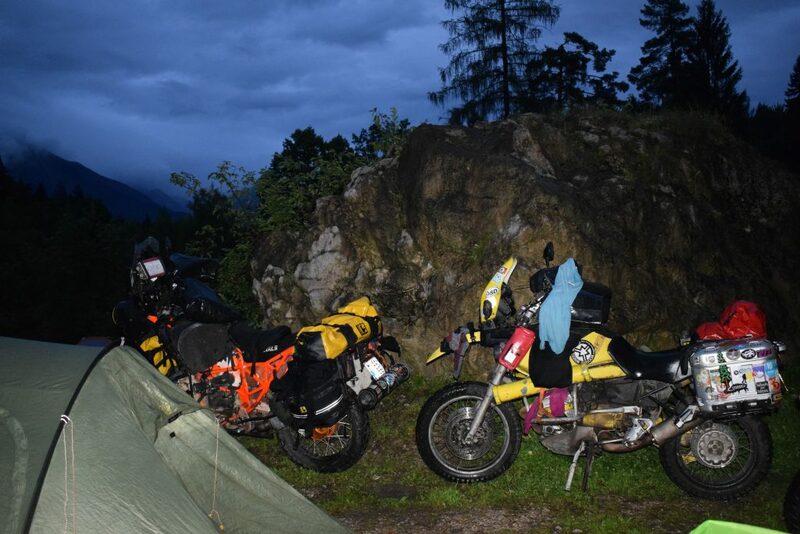 Since it was still pouring outside we made camp next to the wall of a Mc Do and enjoyed our first night in the open air. It’s funny how accessible the world becomes when you lower your standards. 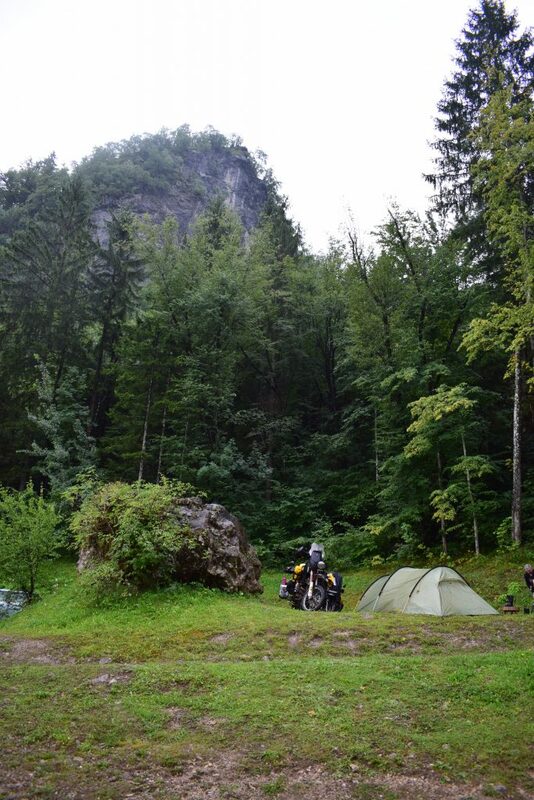 Cars woke us up early in the morning and we’re lucky, the rainclouds are gone so that means the last morning of highway riding in Austria is going to be dry. Hyperion’s rear tire has a little puncture but that was quickly solved. Happy to be kitted out with all the tools and a mini-compressor. 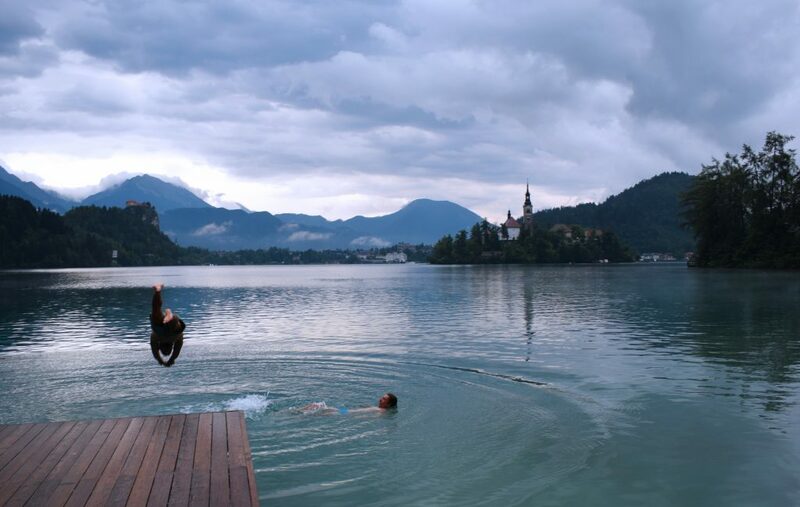 Tonight we’re aiming to reach Bled in Slovenia, not the most challenging place to look forward to but it’s idyllic and Louis hasn’t seen it before, so why not? Around noon all three of us have had it with the highway stuff and we mutually decide that we’re going for the secondary and little roads from now on. Bled welcomes us with a gigantic thunderstorm but we do not let that ruin our good moods, Jeku and I go for a romantic swim in the rain whilst we’re daydreaming about where the roads will take us in the morning.